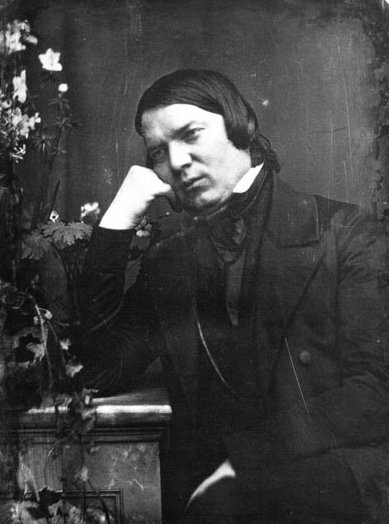 Robert Schumann was a driving force in the early romantic musical movement at the beginning of the nineteenth century. His work is always deeply personal and frequently inspired by literary and other external sources and events. As a youth he read poetry and literature extensively, and, in addition to music, he wrote many articles, journals, diaries and letters. For much of his career, he was better known as a music critic than a composer. He completed many diverse musical works, including symphonies, songs, chamber music, piano and choral music, and he usually worked in intense bouts of feverish inspiration. In 1850 Schumann was appointed Municipal Music Director in Düsseldorf in the heart of the Rhine land, a post he did not hold for long because of his lack of ability at conducting. He wrote the Rhenish symphony as a tribute to the good-natured outlook of the people in his new home. It was premièred on the 6th February 1851, with Schumann himself conducting. It was received with great enthusiasm, and has remained one of the most popular of his works. It was in fact the fourth of the symphonies that he wrote, but was the third to be published. It is an exhilarating piece throughout, using a large orchestra. It breaks from traditional classical forms, especially in the inner three movements, having less clearly defined sections and more motivic development. The title was added by the publisher, Fritz Simrock, to whom Schumann had said that it "mirrors here and there something of Rhenish life". The Rhine has always occupied an important place in German legend, art and song. Schumann himself had previously composed "Rheinlieder", and had for some time considered writing a Rhine land symphony. However, with the exception of the fourth movement, he left no indication of the symphony's actual programme. One can speculate that the first movement, marked 'Lebhaft' (lively) is an invigorating picture of the mighty river and its varied scenery. The second movement, marked Scherzo, has the character of a German folk dance - the Ländler. The third movement is an intermezzo, written with poise and delicacy. The magnificent fourth movement was inspired by a ceremony in Kőln Cathedral, which Schumann had attended, in which Archbishop Johannes von Geissel was elevated to the rank of cardinal. The music evokes not merely the ceremony, but the awesome grandeur of the cathedral. It is one of the most striking and original of all his works, using a rising theme that, like the cathedral, seems to reach towards the heavens. Three trombones are used to create a great sense of solemnity and grandeur. The final fifth movement returns to the energetic mood of the first. Near the end it refers back to the music of the fourth movement as if taking a last distant glimpse of cathedral spires. The Rhenish symphony was the last major work to be completed by Schumann. Sadly, by 1854 his mental health deteriorated considerably. One night he rose and left his bed, telling his wife Clara that Schubert and Mendelssohn (both long dead) had sent him music that he must write down. That night he wrote his last work, a set of five variations for the piano on one of his own themes. Soon after this, on February 27, he attempted suicide by throwing himself from a bridge into the Rhine. He was rescued by boatmen and taken home. He then asked to be admitted to an asylum, where he remained until his death on the 29th July 1856. He was buried at the Zentral Friedhof in Bonn. The Rhenish symphony was performed by the Portobello orchestra on the 14th March 2009 conducted by Anthony Weeden, and on the 14th April 2017 conducted by Sam Jones.